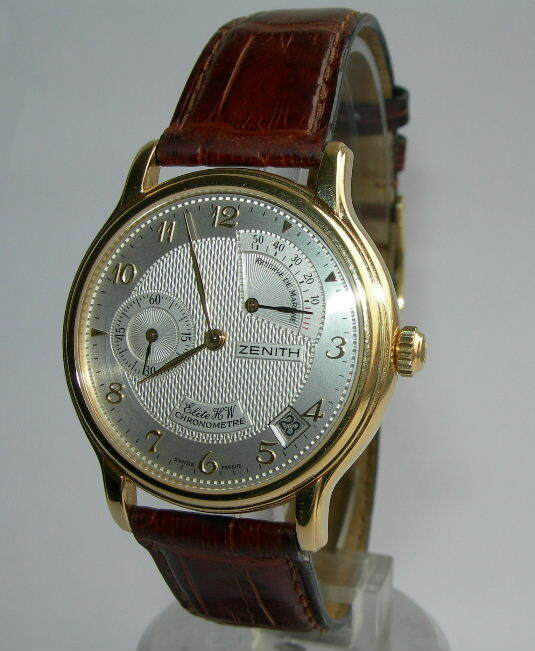 Chris Heal FBHI ( watchmaker ) has been authenticated by Zenith material supply as being qualified to purchase and fit Zenith parts to all Zenith watches. Zenith is a company that you would have to invent if it didn't already exist. In Schmeltzer's "Taschen- und Armbanduhren richtig sammeln und bewerten," there is a table that lists numerous watch brands and indicates which degree of quality their products have. While there are many companies whose products cover the range from "good" to "excellent" or from "simple" to "very good," there is only one entry for Zenith: Very good. The company never cared for mediocrity or mass markets, from the very beginning, they made nothing but top quality. Zenith has a track record for observatory precision prizes that is unparalleled by any other company. The world precision record that the pocket watch caliber 5011 K set in 1969 is still valid! When I became interested in (vintage) pocket watches, it was clear from the very beginning that I would look for Zenith watches - and I haven't been disappointed by any of them! 120 year old watches, never serviced, keep time with an accuracy of less than a minute per day without any cleaning or adjusting, but these values can still be improved with some TLC. The technological break-through needs no further explanation - Zenith's "El Primero" caliber has no competition, the company, however, does not rest on its laurels: The Basel 2002 World Watch and Jewellery Show will see not less than four new versions of this world-famous 36000 a/h caliber. El Primero on the move. Here is a creation of quite extraordinary complexity: the first self-winding chronograph calibre with an oscillating weight rotating on a centrally positioned ball bearing, and with all the parts and complications perfectly integrated. It was in March 1969 that it made its première appearance, after more than five years of design and preliminary work. The handsomely scaled calibre has thirteen diameter lines, i.e. 30 mm for a slim 6.50 mm thickness, or 7.55 mm for the instantaneous changeover triple date version. The movement has a column wheel and classical reset hammers and to this day is still the finest on the market. It is also the most accurate of all movements. The glucydur balance wheel combined with a flat spiral spring made from top quality non-magnetic self-compensating Anachron oscillates at a rate of 36 000 vibrations per hour, to produce chronometer measurements accurate to one-tenth of a second. The movement is not affected by any sudden changes or magnetic fields, and has the best long-term timing ratio in its category. 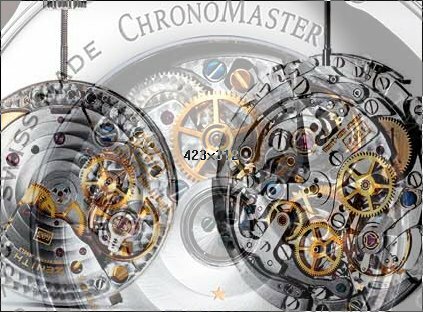 The movement is comprised of 354 parts, and in the most complicated version 277 of these are different parts. 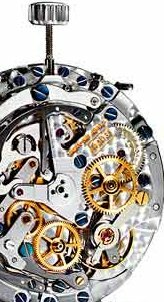 There are 41 screws, plus 31 jewels; over fifty different points have to be oiled using ten different grades of lubricant (including four dry lubricants for the high-performance escapement) for the simple version, and another 38 points for the main plate of the triple date mechanism. This truly wondrous movement requires a total of nine months work, involves between five and fifty separate operations per part, some fifty milling procedures at different points on the dial side and 77 milling procedures on the bridges side. More than eighteen different metals are used to make one movement, combined with the devotion of more than twenty specialist watchmakers dedicated to their daily work. Such complexity as found in El Primero, the movement created by ZENITH, must surely have a soul.